Tis the season for consumerism! Especially now I’m a big believer in giving time or effort or something heartfelt over pricey wasteful plastic crap. But it’s also hard to not want to buy things for people. The new year is almost here and many people make a mental and/or physical health resolution (or should!). I truly believe that anyone can benefit from yoga (I just ordered a yoga DVD for my 83-year-old grandma) So if you or someone you know wants to get into (or is already a yogi) take a look at my Yoga Holiday Shopping List. I hate magazine lists where the items are things like a $370 pair of gloves that the editor got for free, so take heed: Nothing on this list is over $25, and none of these companies have ever given me anything! 1) Giam Yoga for Beginners Kit ($25) I don’t have this, so I can’t speak to the quality of the mat or the content of the DVD, but $25 for a mat, block, strap, and DVD?! That’s a deal, and I love deals! The DVD has two 20-minute sequences, and introductions to meditation and using props and is by Rodney Yee, one of the most famous/popular yoga teachers, I have a few of his videos and I like them very much. This seems like a great gift for someone who wants to get started with yoga. (There are also about a billion books and DVDs for beginners, in fact I might write a future post about the best ones, since I just recommeded a bunch to a friend. But the best path for a beginner (or anyone!) is to go to a class–the teacher can see you and therefore can help adjust your alignment and give you modifications that a DVD can’t! 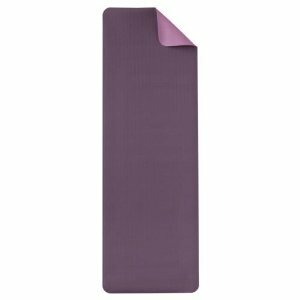 2) Gaiam Eco-Friendly Reversible Yoga Mat ($18) Can you tell I like Gaiam? Unlike some other yoga/fitness apparel companies that charge shamefully high prices for what (let’s be honest) are glorified sweatpants, Gaiam has nice looking products that from my experience are good quality at reasonable prices. This is the exact yoga mat I used for over five years and it’s now the one that my fiance uses. After 5 years there’s a little wear in the downdog feet spots but that’s about it. (note: the reviews say it’s slippery if you sweat a lot or take hot yoga–which I don’t, but if you do you might want to get a I got this one for my birthday and while it has a nice feel (and it’s my two favorite colors), it’s coming apart a bit at the seams and it’s not as thick as the other one. Which is a life lesson for you–don’t pick a yoga mat because you think it looks pretty–there are tons of mats with cool designs but you won’t care what the mat looks like if it feels wrong or falls apart. Blocks and Straps are also good gifts that will get lots of use (hint: get two blocks). 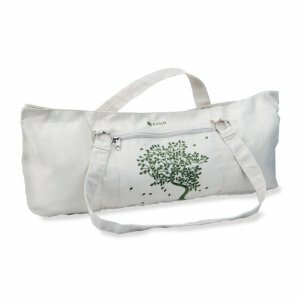 3) Gaiam Tree of Life Yoga Mat Bag ($19) This is an area where you can pick something that looks pretty. Most bags do pretty much the same thing, and if you want to be basic about it, there’s straps that serve the same function. I like this one because it has two different straps for different ways to carry it. If you are carrying around your mat a lot, a bag is worth the money. 4) Foldover yoga pants ($17-$19) Did I mention $150 yoga pants are stupid? Old Navy is good because they have a huge range of sizes for petites (like me–it’s hard to find pants short enough) to plus and tall sizes. These are good basic yoga pants that at under $20. They also have flattering tops with bulit-in bras. 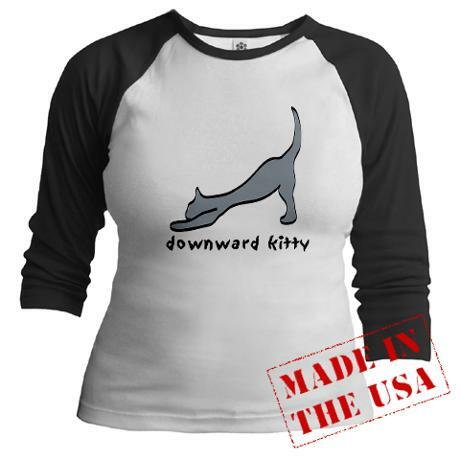 5) Comedy Yoga Shirts and bags ($20-ish) The “downward kitty” and “I’m just here for Savasana” shirts and tote bags might only make me laugh because I’m a crazy cat lady/yoga geek, but if you are shopping for someone who is also like that, then they make make a good gift. Besides people take yoga SOOOO seriously much of the time and could benefit from a little chuckle. 6) The Yoga Bible ($14) There are tons of books on yoga and books and decks of cards of yoga poses, but this one has good pictures, is really well organized, and has good concise information. 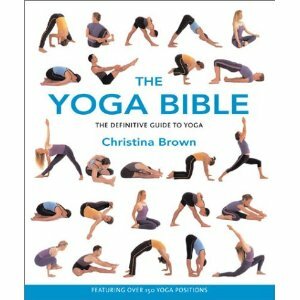 If you want a reference book of yoga poses this is the one to get. To the point of #7, if you are in the NYC area and are interested in something like that, please contact me and we can work out something affordable and totally tailor made! Haha! I’ve bought overpriced yoga pants…I agree, because although they did look really stunningly nice brandnew they quickly got pilled and icky since after all yoga is a pretty sweaty mat-contact sport. I loved some of your suggestions. Will definitely check out the yoga bible! Great article as usual.